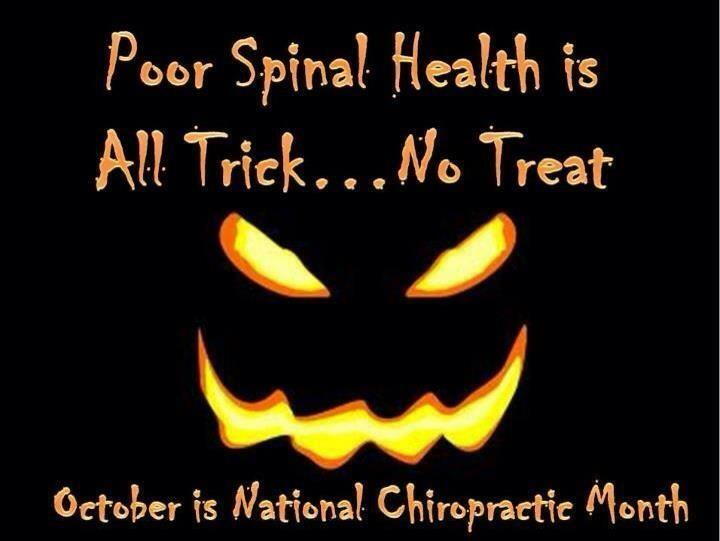 October is National Chiropractic Month!!!!!!!!!!!!!! Come in and get your spine checked so you can feel better and enjoy all the holidays that are coming!!! Call Jennifer today to make an appointment 740-653-2973.